Located just a few steps from the beautiful High Line, the recently renovated Intermezzo is an old school Italian restaurant serving impeccable fare in a modern, elegant dining room. 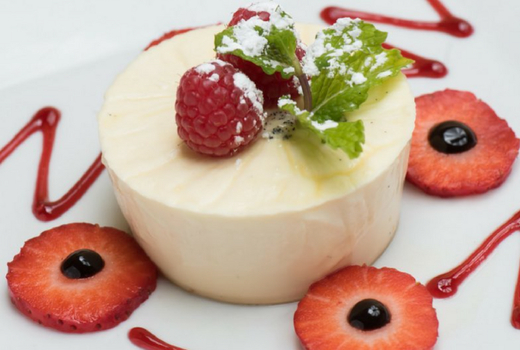 Grab this $29 pulse (a $94 value) for a delectable dinner for two, that includes 2 Entrees complemented by a Bottle of Red, White, Rosé or Sparkling Wine. Feast your eyes on a traditional Italian menu, brimming with authentic meat and seafood entrees, as well as delicious Italian homemade pastas options. 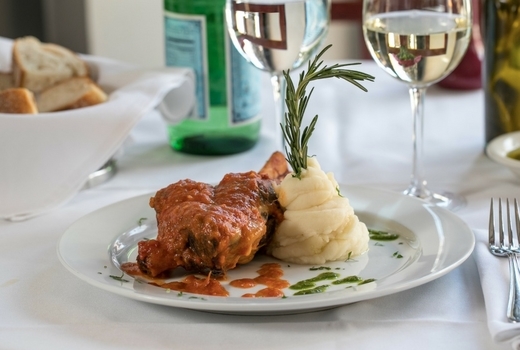 You'll love the Costolette di Manzo: braised short ribs glazed with a heady chianti reduction. Another house favorite is the Salmone; pan-seared salmon, served in a balsamic reduction alongside sautéed spinach and red cabbage. 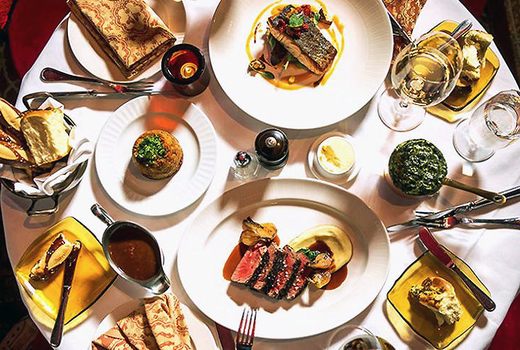 Intermezzo truly brings the Milanese lifestyle to New York City - perfectly prepared food, delightful wines and an all around, excellent night out. Art-decorated walls, chandeliers aplenty, and white tablecloths will make your dinner here feel like a special night out, and the friendly service just adds to the charm. At Intermezzo, the homemade pastas are a must; from the signature Fusilli Primavera (Garden vegetables, tomato sauce) to perfectly fluffy Gnocchi Al Pesto (basil, olive oil, walnuts), to luscious Fettuccine Bolognese (with a homemade country meat sauce), every pasta dish here will leave you brimming with contentment. The paella section beautifully marries earthy and briny flavors with the singe of a heavy, cast-iron skillet. The Fideua Intermezzo subs the traditional bomba rice for brown noodles, along with spinach, artichokes, chicken, shrimp, green peas, and mushroom sofrito. 2 Entrees (choice of Entree, Pasta, Paella; up to a $27 value each or $54 value total). 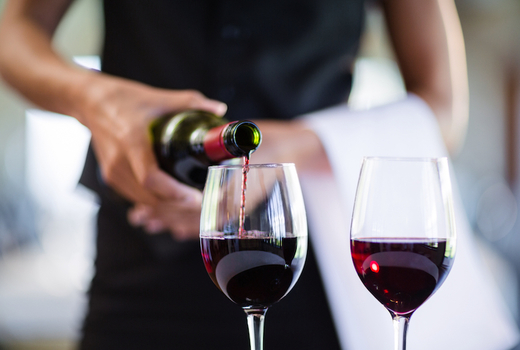 1 Bottle Of House Selected Red, White, Rosé or Sparkling Wine (up to a $40 value). "Great wait staff...very attentive. Excellent menu and the specials also were good. Food was well prepared and nicely presented. 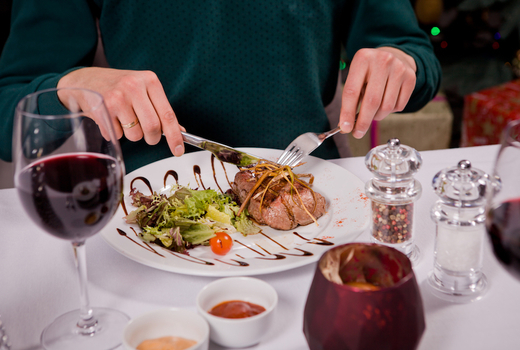 Had a table at the front which was a quieter area of the restaurant...allowed us to easily enjoy conversation." "Delicious meal in a cute neighborhood. It was delicious and we really enjoyed ourselves. The food, service and setting were all wonderful. Will definitely be back." $5 per person upcharge for Paella de Longosta. Valid until Friday June 28, 2019.